Heroes Supporting Heroes & The Heroes Support Network were recognized for their outstanding work in the military and veteran community by the Pittsburgh Pirates. 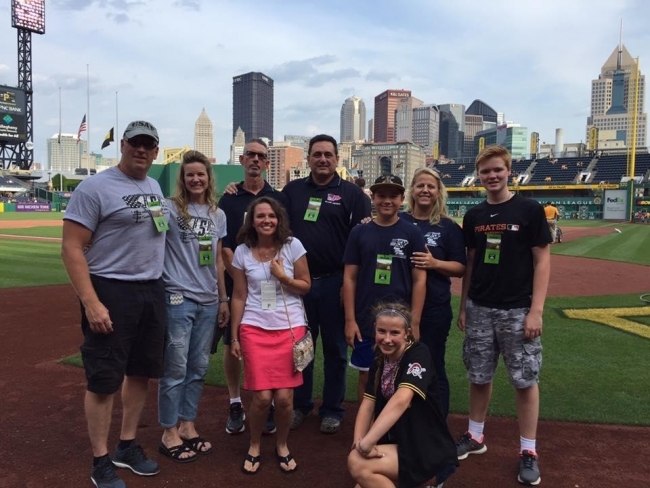 Only July 21st, the Pirates chose them as the Military Charity of the Game, which included being recognized on the field in pre-game activities, being hosted in the Pirates Charity Suite for the game and receiving the charitable proceeds for the 50/50 raffle. Pirates players also wore camoflauge jerseys during the game in recognition of the evening and all of those who serve or have served. The Pirates continue to show their strong support for our local Pittsburgh military & veterans community. Let's Go Bucs!